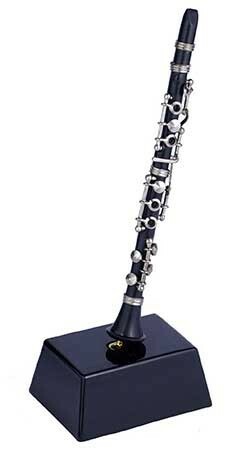 Miniature Clarinet on Stand – The Miniature Clarinet on Stand makes a wonderful gift for a clarinet player! Made from metal and wood, this intricately designed figurine makes for great table top decor! Perfect for the home or office. Approx 7″.